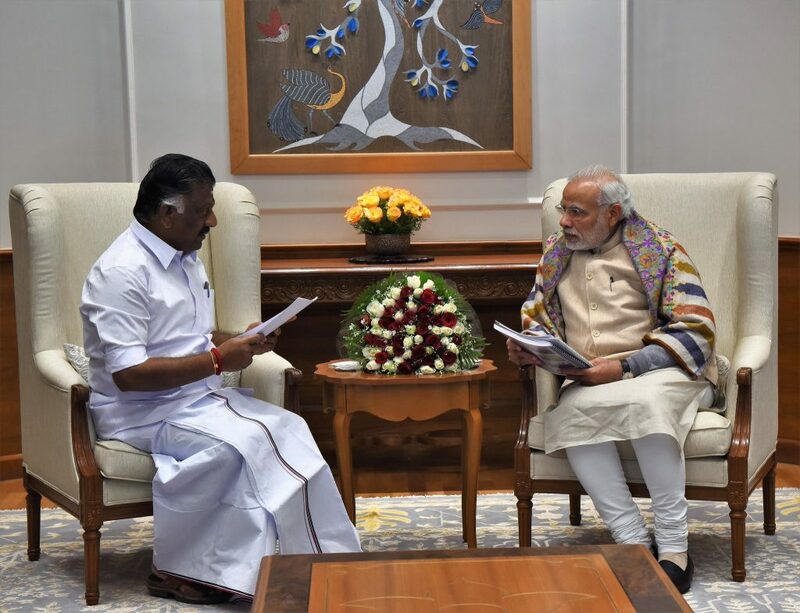 PM Narendra Modi on Jallikattu issue: Tamilnadu Cheif Minister O PanneerSelvam met Prime Minister Narendra Modi regarding the Jallikattu issue in Tamilnadu and peaceful protests to save Tamil Pride. The CM along with all MP reached Delhi by night as they got appointment to meet Modi at 10:30 AM. After warm welcome and deep discussion with CM of Tamilnadu, Mr Modi understood hw serious the issue is, but Central Government cannot directly involve in this issue as the case is still in discussion and pending by the Supreme Court. But he came with you good news that they can support steps taken by the Tamilnadu State Government for sure. Narendra Modi on Jallikattu issue after meeting Tamilnadu CM made an official tweets on PMOIndia twitter account showing their support towards Tamilnadu and Jallikattu. Here are the tweets by Modi regarding Jallikattu issue in Tamilnadu. A central team would be deputed to Tamil Nadu shortly. Hopefully, Tamiladu Government will take good decision on this Jallikattu issue in few hours and it Jallikattu 2017 will happen in few days. Stay tuned fore more updates on Jallikattu.